Dogs suffer from different types of stress and anxiety, who will behave differently depending on the cause of the problem. 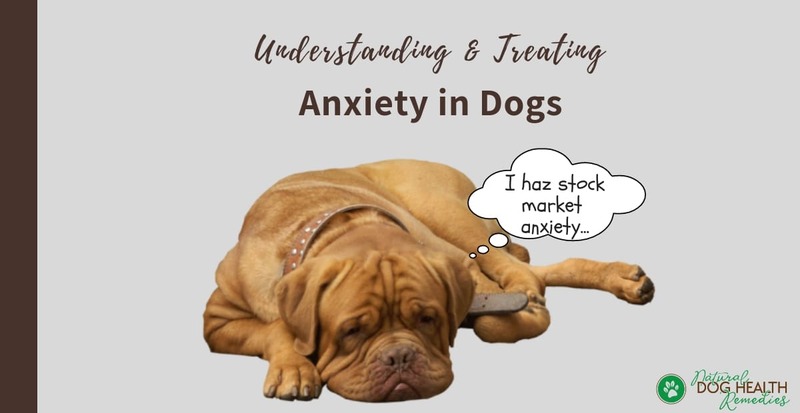 When we talk about anxiety in dogs, we are usually referring to three different types of anxiety caused by different reasons. They are social anxiety, noise anxiety, and separation anxiety. This page focuses on social anxiety and noise anxiety. For information on separation anxiety, please visit this page. Most dogs who are suffering from social anxiety have this behavioral problem because they have not been properly trained to socialize with other pups and humans. This happens most frequently to dogs who have been separated from their dog mothers and littermates too early, such as those from puppy mills. A lack of early socialization and discipline, especially during a puppy's first three months of life, can result in social anxiety later on in life because they lack the experience and training as to how to behave around other dogs and/or humans. If puppies are not properly socialized early on, they are at a much higher risk of developing behavior problems, such as fear, anxiety, and aggression. In fact, aggressive behavior is the main symptom and warning sign of social anxiety. The most effective way to "treat" social anxiety in dogs is by desensitization. Desensitization is a process in which the "factor" (e.g. in this case, another dog or human) that causes or triggers the "problem" (anxiety in this case) is slowly and gradually introduced to the dog in a positive and rewarding way. Over time, hopefully the dog can eventually get used to and even like the "factor". 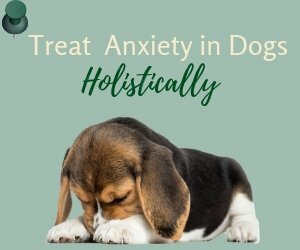 To desensitize your dog from having "panic attacks" around other dogs or people, for example, slowly introduce a dog (preferably a calm one) or human to your dog. The dog or human should be introduced to your dog one at a time, and for a short period of time only at the beginning. Let your dog get used to the presence of that "other being", and gradually increase the length and the degree of interaction. If you are introducing a new human friend to your dog, let your dog take time to get accustomed to the presence of the person first. Wait for your dog to approach the person, not the other way round. The key here is patience! Do not attempt to introduce a lot of dogs and/or people to your dog all at once. You will only stress and scare your dog out! Do not introduce another dog or human to your dog until he is totally comfortable with the one you have just introduced. Last but not least, use positive reinforcement only. Reward good behavior with lots of praise or some treats when, for example, your dog remains calm in front of another dog or human. On the other hand, do not punish your dog for bad behavior such as barking or aggressive behavior. Dogs suffering from noise anxiety tend to be scared of loud noises such as thunder, firecrackers, fireworks, or even the noise of a running vacuum cleaner. These dogs will usually behave skittishly and may tremble and often try to run and hide whenever a noise that scares them occurs. Other typical behaviors include vocalization (e.g. whining, whimpering, barking), drooling, panting, and pacing. More seriously, some dogs may show unwanted behaviors such as a loss in bladder and/or bowel control, as well as destructive behaviors such as chewing up carpet and furniture, breaking doors and windows in an attempt to escape, and more. 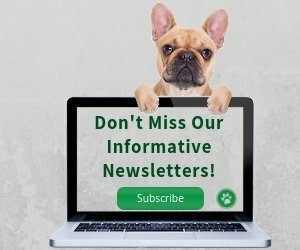 Breed and genetic factors - some dogs are more predisposed to experiencing stress and anxiety than others. For example, the herding breeds (e.g. German Shepherd, Corgi, Border Collie, etc.) commonly have this problem. Result of some kind of traumatic experience. First, if you don't know already, find out the source(s) of your dog's anxiety. Observe your dog's behavior and reactions in different situations that may trigger his fear and anxiety. For example, how does he react in a thunderstorm? During fireworks? While the vacuum is running? Identify what kind of noise makes him most anxious and scared. Then try to use "Desensitization" to help your dog to overcome noise phobia or anxiety. For example, if your dog is afraid of thunder, try playing a recording of thunder at very low levels. Reassure your dog that everything is fine and no harm will go his way. As he relaxes and does not show any signs of anxiety, gradually increase the volume. This technique requires time and patience for it to be effective. Remember to praise and reward him for remaining calm. Another way is to try to distract your dog during a thunderstorm by playing his favorite game with him. This will take his mind off the noise and can help calm his anxiety as well. It is also helpful if you try to talk to your dog softly and reassuringly when he is having an "anxiety attack". You may also consider playing some calm and soothing music before the possible onset of an anxiety attack. For example, if you know a thunderstorm is approaching, start playing some soothing music before the storm starts. Wrapping him up with a towel or blanket helps too as dogs feel more secure when there is "maintained pressure" on their bodies. There is also a commercial product - Thundershirt for Dogs - that was developed based on this theory. My sister's Golden Retriever used to be very, very scared of thunderstorms. She would be shivering, whining, and trying to hide under beds or inside closets whenever there was a thunderstorm. Now, before a thunderstorm, my sister puts the Thundershirt on the dog, and she will be calm and relaxed! Just like magic! 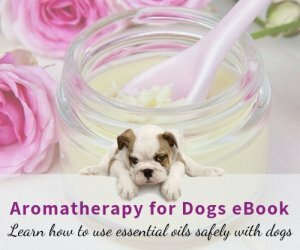 Natural remedies such as homeopathy and herbs that have calming effects can help alleviate anxious feelings in dogs. They are effective, and much more safer and milder than tranquilizers! The Whole Dog Journal, May 1999 (Updated June 2016).